I wasted no time in getting stuck into campaigning. 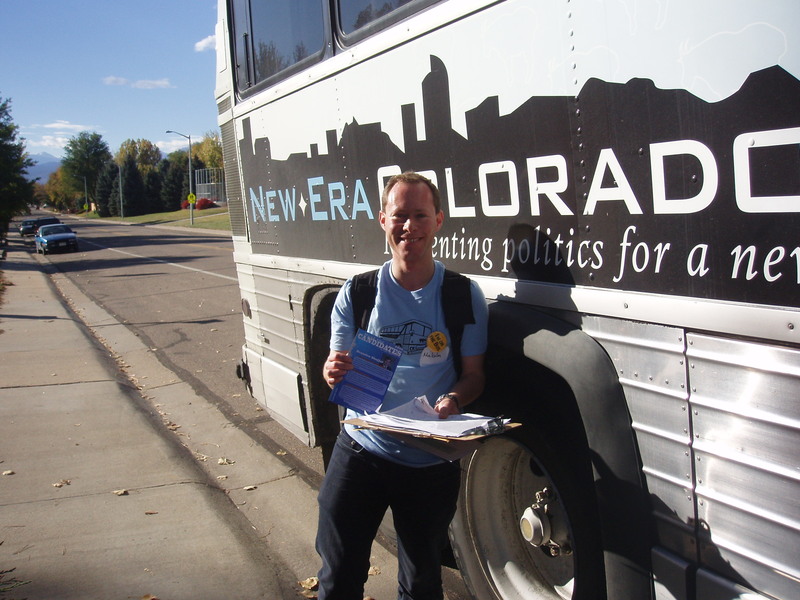 On Saturday morning I accompanied Amalie and Julia, the organisers of Swing Semester, to Boulder, to join in New Era Colorado’s famous ‘bus project’ – a group of young people going out canvassing, travelling to a targeted area in an old-style bus. There were about twenty-odd of us in total, mainly 18-30 year olds and a couple of older folk as well. On the bus we got a short briefing about the politics of the area we were going to (Longmount) and the state of the races there. 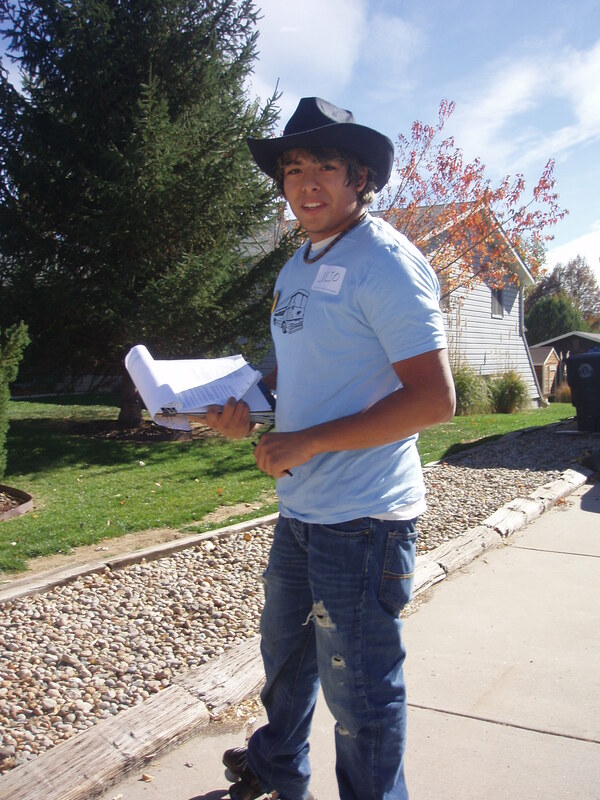 Then, the clipboards and papers were handed out, for us to familiarise ourselves with how to fill out the canvass sheets, read the literature we were handing out and other briefing documents. And so work…. My patch was within a wealthy neighbourhood, some streets if which backed onto a gold course. 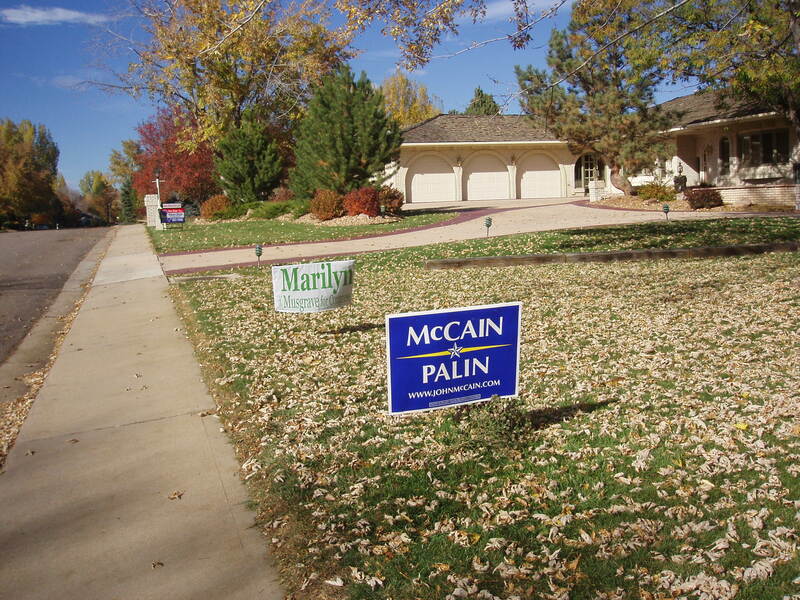 Not the most fertile canvassing territory. 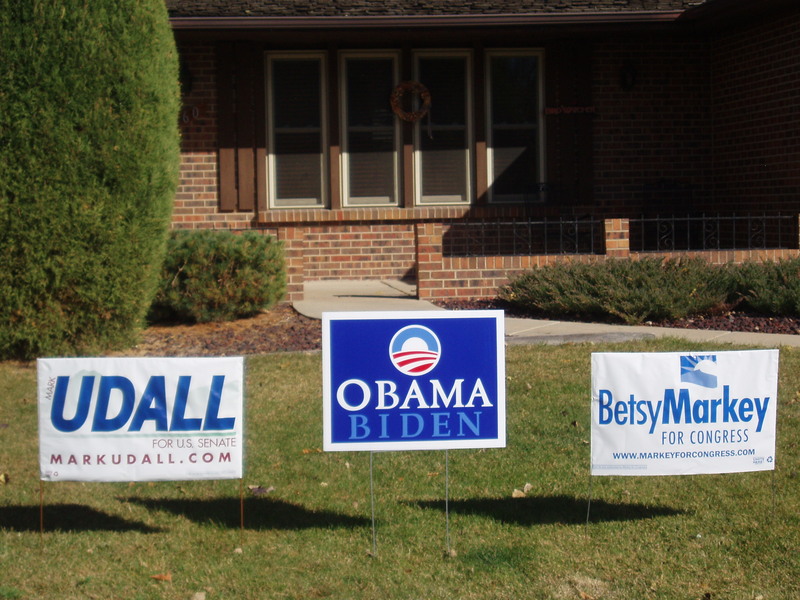 There were more houses which had the McCain yard signs than the Obama ones. I did 2.5 hours of walking the streets, trying to find the right houses, delivering literature, knocking on doors, sometimes finding someone in and on occasion even willing to have a conversation with on the elections. I think my final figures were 29 houses visited and 11 ‘contacts’ (actual communication). Then it was back to the bus for the journey back to Boulder … and plates of sushi at a local restaurant.